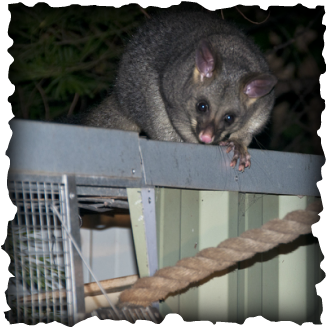 Wildlife Rescue South Coast is generally not in favour of keeping Australian native animals as pets. We are completely opposed to taking native animals from their habitat to be used as pets or for profit. The most successful pets are those for which there was (at least initially) a symbiotic relationship. There is evidence that for cats and dogs, the animals may have originally “chosen” to associate themselves with humans for their own benefit. While there are many responsible pet owners, every year, thousands of pets are neglected, mistreated and abandoned. Wildlife Rescue South Coast sees no good reason for adding native species to the list of species being subjected to these problems. Many Australian native animals are nocturnal, and many have very specific nutritional, housing and husbandry needs. In most cases, their health relies on being able to access specific and sometimes hard-to-get food, and in captivity would be given less appropriate feed. Many Australian native animals are prey species to common pets such as dogs and cats, and are likely to be stressed in a domestic environment. If abandoned (in the belief that the owner is returning them to the wild) they face an uncertain future as many animals are territorial, while others have complex social structures. Releasing them back into the wild may impact on genetic integrity and risks the introduction of diseases from other pets, into the native population. Generally, animals are happiest in their native environment, and Wildlife Rescue South Coast would prefer to see people campaigning to retain native habitat, and enjoying watching these animals in their natural environment. A common technique used by wildlife carers is called "soft release". We use this method for animals that we have hand raised - often since they were rescued from their mother's pouch. As the animal approaches the age where (in the wild) it would be independent, carers leave their cage or pen open, or the animal is put in a nest box under controlled conditions. The carer continues to feed the animal, but it is free to come or go as it wants. We use this for many birds and mammals including kangaroos, possums, bats and more. While the animal hangs around for a few days, or sometimes a few weeks, as it establishes itself, almost all these animals will eventually choose to live a wild life, even though they could stay and be housed and fed. This speaks far more eloquently than any argument we can think of. Wildlife is meant to be wild!